FACT CHECK: Did Kurt Russell Call Trump ‘Dedicated And Determined’? 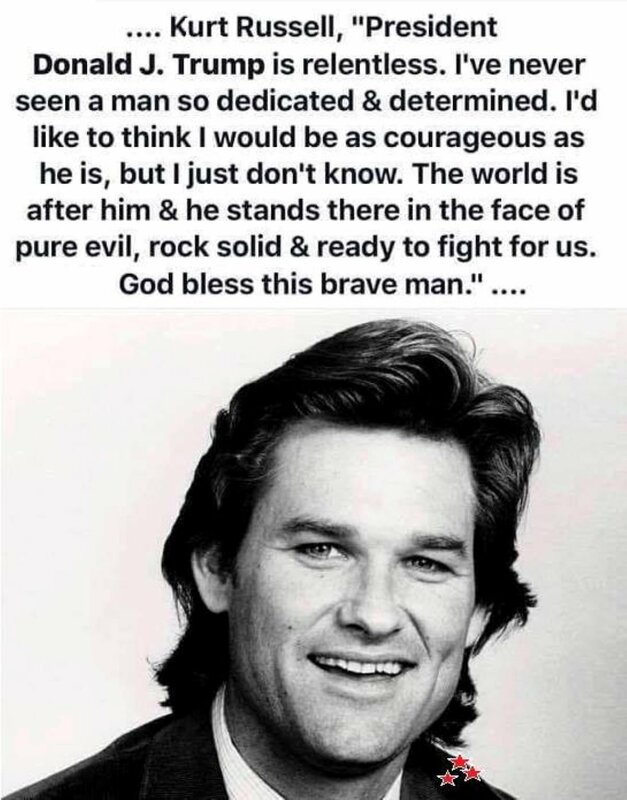 The National Liberty Federation Facebook page shared a quote purportedly from actor Kurt Russell praising President Donald Trump. “President Donald J. Trump is relentless. I’ve never seen a man so dedicated & determined. I’d like to think I would be as courageous as he is, but I just don’t know. The world is after him & he stands there in the face of pure evil, rock solid & ready to fight for us. God bless this brave man,” read the Jan. 18 meme. There is no evidence that Russell ever said this. The origin of the fake quote may be a Twitter page unaffiliated with the actor that has since been suspended. The meme shared by the page contains a black and white photo of Russell with the alleged quote above it. However, a spokesperson for Russell told The Associated Press that Russell never made the statement, and The Daily Caller News Foundation could not find any evidence that he ever did. The meme has since been taken down. Snopes traced the quote back to the Twitter account @WyattEarpLA, which tweeted it on Nov. 3. Wyatt Earp is a historical figure Russell played in the movie Tombstone. The Twitter account used Russell as its profile picture, so it is possible that some believed it belonged to the actor and that the tweet was attributable to him. The account, however, was not verified and the biography stated, “I’m not Kurt Russell.” The account has since been suspended. Russell is a self-described libertarian who typically stays away from politics. “I have my political point of view, of course; I’m an American and I’m entitled to it. But I don’t like espousing it publicly,” Russell told The Daily Beast in 2015. While Russell has done his best to stay out of politics, he did make headlines in 2015 when during an interview he said that gun control wouldn’t stop terrorism. “If you think gun control is going to change the terrorists’ point of view, I think you’re, like, out of your mind,” Russell said. The National Liberty Federation Facebook page did not respond to a request for comment.